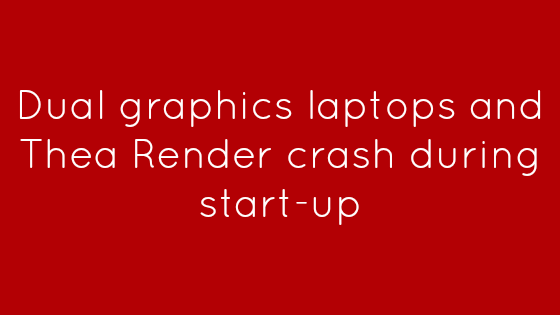 Modern laptops with dual graphics utilize Intel GPU for main display when running on battery, while NVIDIA GPU is made available when a high-performance profile is selected from application or when powered by DC power supply. 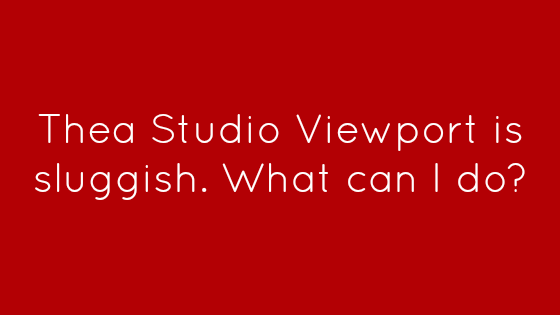 Thea Studio Viewport is sluggish. What can I do? If your Viewport in Thea Render Studio is sluggish for large scale model with heavy geometry you can opt to enable option “Use Level of Detail” and “Limit max drawn triangles (per model). 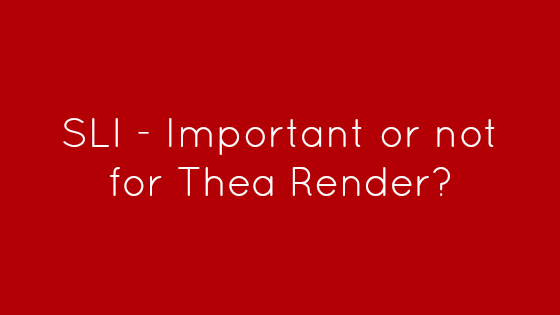 Thea Render v1.5 currently provides support for NVIDIA adapters for CPU+GPU rendering with Thea Presto. 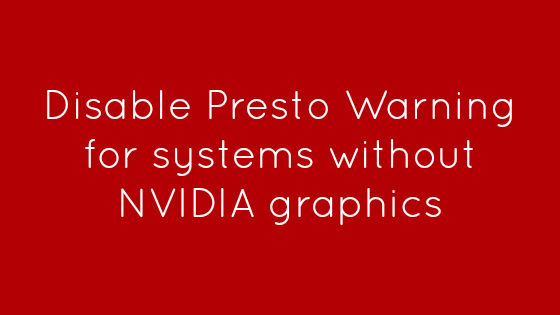 In case your system only has AMD or Intel graphics, then during start-up of Thea Render Studio you will be receiving a warning from Presto on the bottom right corner. 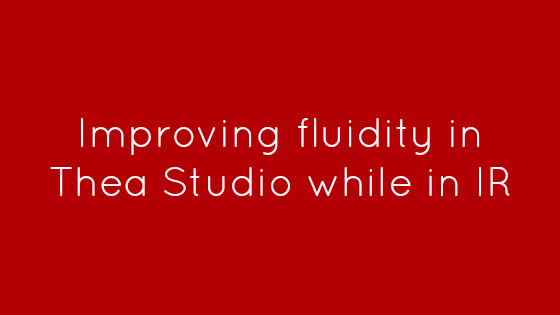 Please note that in multi-GPU configurations if the display card is also used for rendering, this will cause the viewport in Thea Studio to possibly stutter because core utilization is reaching peak levels while not allocating enough processing capacity to handle the display effectively. SLI – Important or not for Thea Render? It should be noted that SLI is only relevant for real-time viewport performance. If you wish to enable SLI for 2/3/4 NVIDIA graphics adapters this does not interfere with Thea Render. However SLI no benefit for the renderer itself and furthermore you will only limit yourself as you may not be able to add another graphics adapter from a different card generation.